Do you know that drinking one glass each day or even eating your favourite fruit, Watermelon should be a good preventative measure for the Kidney stones' development? 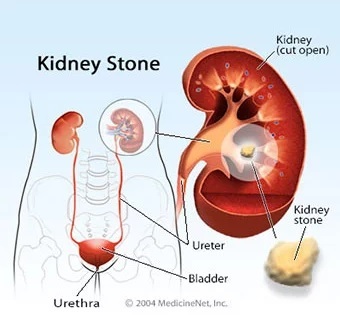 Kidney stones are hard deposits made of minerals and salts that form inside your kidneys or urinary tract. Also called nephrolithiasis, one in every 20 people develop kidney stones at some point in their life.